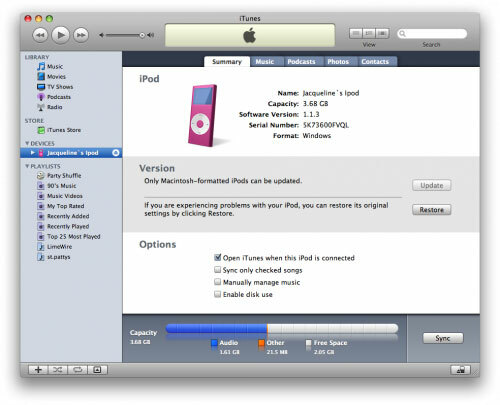 The way you see if an iPod is Mac or Windows-ready is to go to Settings –> About and scroll to the bottom of the screen. 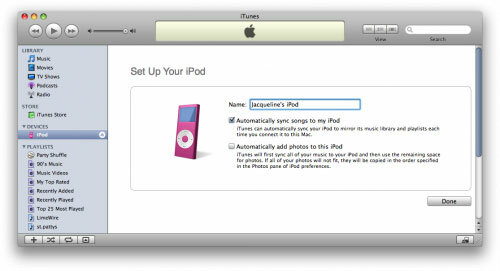 If it’s formatted for Mac OS X, then the last item will be the serial number of the iPod. If it’s Windows-ready, then after the serial number will be “Format: Windows”. Simple enough, if a bit obscure. If you want to rip DVD and convert video to iPod, here are step by step guides (Windows user, Mac user). For more DVD Video to iPod Converter, you may refer to this DVD Video to iPod Converter Review. Step 2: Connect your iPod to the computer. Once it shows up in iTunes press the Restore button under the Summary Tab. Step 3: A popup will appear warning you that all the songs on your iPod will be erased. Click the Restorebutton. 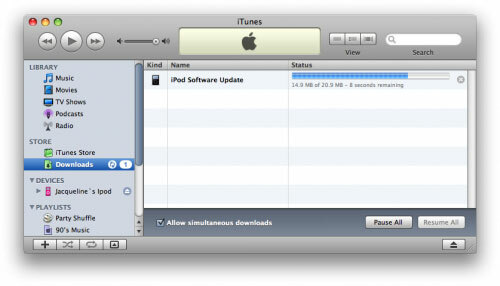 Step 4: An iPod Software Update window will open. Click the Next button. Step 5: Click the Agree button to accept the license agreement. Step 6: iTunes will now go and download the latest firmware for your iPod. Step 7: Once installation begins it will ask you for an Administrator’s username and password. Enter this information then click the OK button. Step 8: iTunes will then format and update your iPod after which it will reboot. Step 9: Once complete you will be asked to name your iPod. Do this then press the Done button. Step 10: iTunes will now automatically begin syncing your library to the iPod! Your first step should be to ensure that you have the very latest version of iTunes. You can do that by going to Download iTunes. Install that, and when you hook up your iPod, you should see it show up in iTunes, then when you click on the iPod on the left side of iTunes, you’ll get to the summary screen. 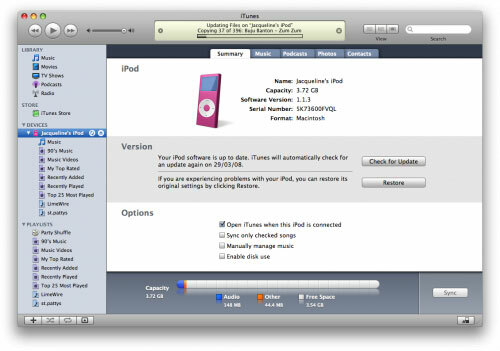 Restore Option 1: Restore – Restores with same iPod Software version already on iPod. 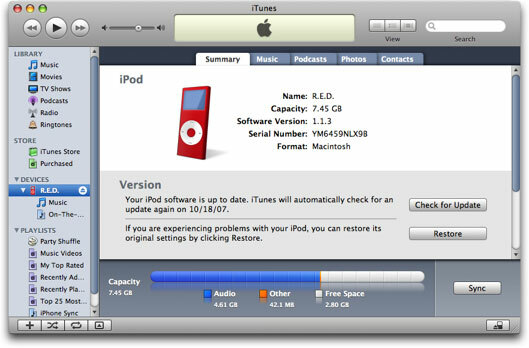 Restore Option 2: Use Same Version – Restores with same iPod Software version already on iPod even though a newer version is available. Restore Option 3: Use Newest Version – Restores with the latest iPod Software available. Restore Option 4: Restore and Update – Restores with the latest iPod Software available. If you get to this point and it rejects it, you should take your iPod to the closest Apple store (find one here: Apple Store Locator) and ask them to restore it for you.